In the heart of Manhattan’s upper west side lies one of city’s premiere comedy clubs. Since 1986, Stand Up NY has been a launch pad for the top talent in the comedy world. Over the years the likes of Jerry Seinfeld, Jon Stewart, Chris Rock, and others have graced the Stand Up NY stage. In the thirty two years since the club opened, its ownership has swapped hands a few times. Today, the club is owned by serial entrepreneur and comedy lover Dani Zoldan. Dani discovered the world of comedy in his college years through two close friends attempting to make a name for themselves in stand-up. “They were always looking for stage time,” Dani explains. “I always got dragged along so they would have enough people at the bringer shows.” At bringer shows, an aspiring comic is given stage time if they bring enough paying guests along with them. After just a few shows, Dani felt at home in the comedy scene. At 24, Zoldan started a telecom business focused on long distance communication. It really took off, and while the money was great, Dani’s heart wasn’t in it. He craved a more creative pursuit. As technology progressed, the business began to slow down and Dani was forced to think about his next move. When he heard that Stand Up NY was for sale, he called an old friend, and together the two decided to buy the club. Eventually, Dani left the telecom industry and jumped into the comedy scene full time. Dani relies on great acts and consistent marketing to fill the seats. He chats casually about big names he’s had on stage including Jerry Seinfeld, Robin Williams, and Kevin Hart. While comics with this type of prestige perform at massive venues for sold out crowds, they still pop in at small, individually-owned comedy clubs on a surprisingly regular basis. Unlike musicians, dancers, or painters, a comic cannot perfect his or her art without an audience. Small clubs, and the owners who keep them running, provide the perfect setting for big names to try out new material. “When you go to a comedy club, you never know who might show up to perform,” says Dani. 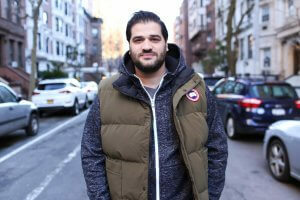 Relationships with these comics, and Dani’s support of comedy in general, are a major piece of his thriving business. Despite the draw of big names, hosting famous comics carries a risk. Recently, the owner of a different club close to Dani’s found himself at the center of a national controversy when scandalized comic Louis C.K. showed up to perform in the wake of admitting to sexual misconduct. The national media questioned the club owner’s decision to allow C.K. an audience, given his actions. Scandals involving comedians like C.K. or Roseanne Barr have sparked a national debate about who should be allowed to perform on comedy club stages, and what kinds of jokes they should be allowed to make. While conflicts with political correctness will undoubtedly continue to pop up for Dani, he remains optimistic about the club’s ability to weather the storm of social issues. Despite its challenges, the club is thriving. 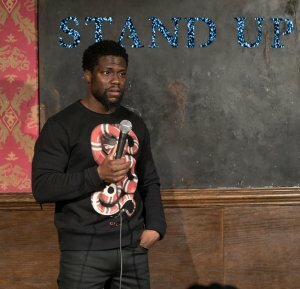 Stand Up NY has become a launchpad for Dani’s latest ventures including a video ad agency, a podcast network with an in-house recording studio, and a how-to course that teaches the basics of stand-up to would-be comics. Knowing that working capital is key to jumpstarting growth, Dani came to Lendio for a loan to support his newest pursuits. “The club and my other ventures are really poised for growth, and the capital from Lendio is a big piece in making it happen,” he says.